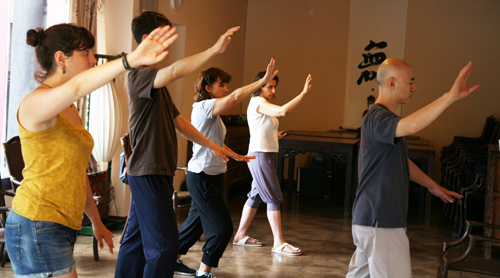 Baduanjin (literally Eight-section Brocade) is one of the most common forms of Chinese qigong used as exercise. The name refers to how the eight individual movements of the form characterize and impart a silken quality (like that of a piece of brocade) to the body and its energy. 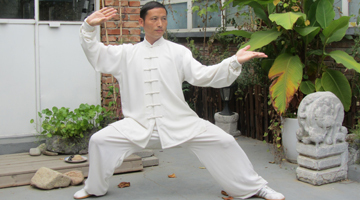 The Baduanjin is primarily designated as a form of medical qigong, meant to improve health, and is also used for warm-up and preparation exercise in Shaolin martial art. 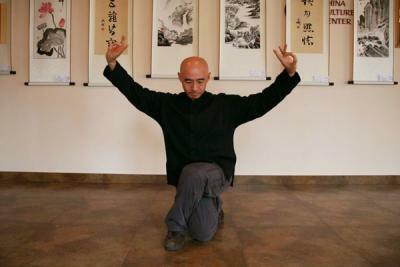 This is in contrast to religious or martial forms of qigong. 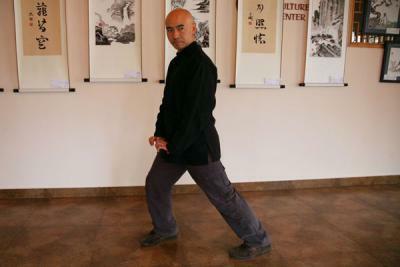 Yi Jin Jing is a set of Tendon changing or sinew transforming exercise Qigong manual most notable as the source of the attribution of Shaolin Kung Fu to Bodhidharma, though this has been doubted by several martial arts historians. 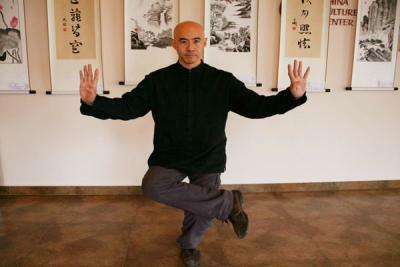 -to move in the way of unifying body, breathing and mind (brain, nervous system and spirit), according the principle of Liuhe-six coordination: mind-intention, intention-qi, qi-strength, shoulders-hipbones, elbows-knees, hands-feet. 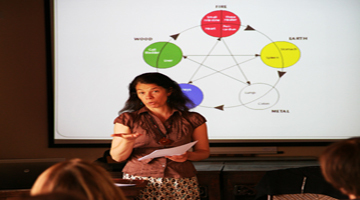 -to cultivate the habit of breathing through Dantian (abdomen) to refresh energy as much as possible. 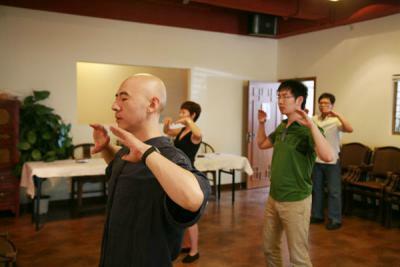 -to massage inner organs and enhance metabolism through wholesome breathing with specific postures. -to improve blood circulation and energize energy-channels through torsion and rotation movements. 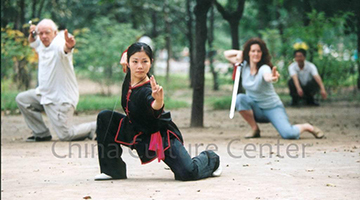 -to help body (joints, muscles, tendons) gain strength with more oxygen by stretching movements. The purpose is to turn flaccid and frail sinews and tendons into strong and sturdy ones. 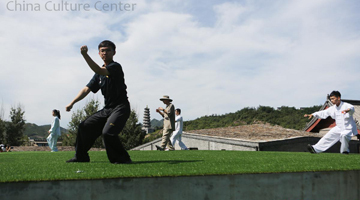 The movements of Yijinjing are at once vigorous and gentle. Their performance calls for a unity of will and strength, i.e. using one’s will to direct the exertion of muscular strength. It is coordinated with breathing. Better muscles and tendons means better health and shape, more resistance, flexibility, endurance.